ESPN commentator Doug Glanville recently arrived at LAX and was refused service by a taxi driver, despite city law that requires drivers to pick up all passengers. Here in Los Angeles, many residents like to think we do better than other parts of the country when it comes to racism. That we disprove the stereotypes like the commonly held notion that it's tough, if not impossible, for an African American to catch a cab. But, as Doug Glanville recently discovered, we don't always live up to our name as the City of Angels. 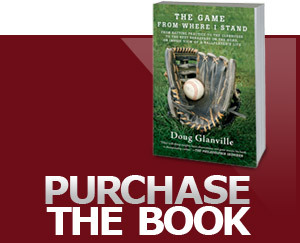 Glanville is a former Major League Baseball player and a current commentator for ESPN. He flew into LAX recently and when he reached the front of the taxi line, the driver refused to take him, telling him to take the bus instead. Glanville, who is African American, believes it was racially motivated. He wrote about his experience for The Atlantic, and joined Take Two to talk about what's happened since the incident. "It's stressful as an African American male," Glanville says, "things that seem to be simple are not simple. You know, I'm shoveling my driveway, I get a police officer in my driveway. I try to go get a cab in all these different cities-- and it's not just L.A., it's all over the country-- where, unless it's in a controlled environment, which theoretically the sort of airport structure would be, I run into a lot of these issues." Deborah Flint, the newly installed executive director of the Los Angeles World Airports, has spoken with Glanville. "I was very concerned, very upset, to hear about his experience at LAX," Flint says. "And I expressed that to him immediately." Flint says an investigation was launched, the driver was identified, and he is currently under investigation. The driver, Flint explained, "is not able to drive while these charges are being investigated against him... He does have a hearing process that is under way and he will have choices to appeal the findings of that process whatever that might be. But ultimately, the penalty is a stiff one for refusal of service. And that is, his license could be revoked for a year." For Doug Glanville, the whole incident has taken on a larger purpose. "This is a basic thing I'm trying to do. Land, and just get to my hotel. Why am I going through this type of nonsense, and weeks later still trying to navigate this? Well, to me, then it has to have sort of a bigger cause, and that is to really try to help a lot of other people, not just myself." Republished from 89.3 KPCC Los Angeles.